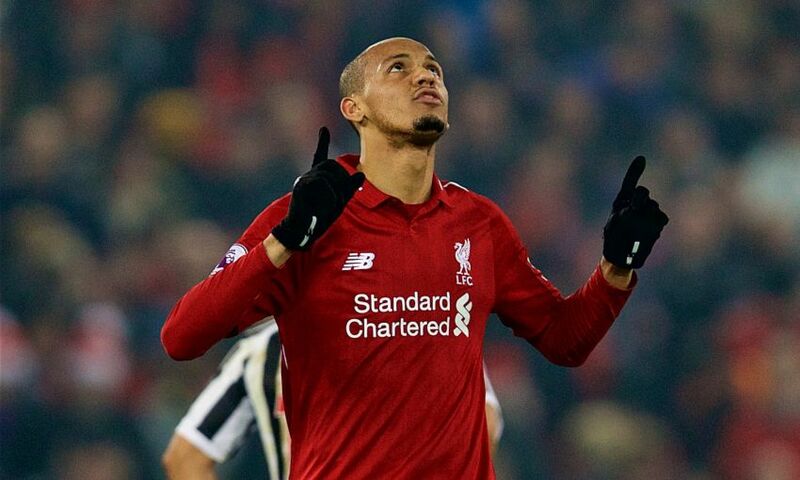 The difficulty involved in Liverpool's win at Crystal Palace earlier this season will be in their minds for the return meeting at Anfield on Saturday, explained Fabinho. Late goals in either half at Selhurst Park secured the Reds a hard-fought 2-0 victory in the second game of the Premier League campaign last August. Roy Hodgson brings his Eagles to Merseyside tomorrow, with the home side holding a four-point advantage at the summit after beating Brighton and Hove Albion. An awareness of Palace’s threats will influence Liverpool’s mental approach to the encounter, though they aim to be on the front foot from the off insists Fabinho. You’re back at Anfield this weekend when Crystal Palace visit. They were the last away team to win a league game there, almost two years ago. Is there a secret to your home form? Liverpool are really consistent and defensively sound. We’re a team that attacks, we’ve always got a lot of numbers in the opposition half. When it comes to a player putting a cross in, there are always lots of bodies in the opposition box for us. And despite not being a defensive-minded team, we’re always ready to go on the counter-attack, our system is set up for that. The team is going through a great patch, every player’s confidence is sky high, and all of this has contributed to the team’s good form. Liverpool tend to dominate possession in these games. How much onus is on the midfielders and the defenders to be creative and brave on the ball? Yes, the last game was an example of this. We had a lot of possession, Brighton put a lot of men behind the ball, so we had to be patient and try to work hard to find an opening to split the defence and get the ball to our forwards. It was difficult but when we got behind them we managed to cause them problems. Perhaps the game this weekend will be similar in this regard. We’ve got to be patient and not squander possession with silly passes. We’ve got to play on the attack and try to get through their defence but while being patient, knowing if we get the ball to our attackers they can cause a lot of damage to the opponent. You’ll know how dangerous Palace can be from their win at Manchester City. Was that a good reminder that every game in the Premier League needs 100 per cent focus? Yes, no doubt about it. This is the most closely-fought league in the world. Any team can take points off any other team, as was the case with Crystal Palace playing against Man City. In our first encounter of the season, it was a really challenging game – we won 2-0 but it was a really tough game. They’ve got a great team and some great attackers. It’s another motivation that we’re playing at home. We’ll try to play our game and create as many chances as possible, but while always bearing in mind that they’re a dangerous team that can cause us damage. You were involved in a successful title campaign with Monaco two years ago; what can you use from that experience as you try to do the same with Liverpool in the coming months? It’s true that I did well in that league but it’s a different league. We won the league; I think it helped me for the future, as is the case now. We have to take things game by game. Our next ‘final’ is against Crystal Palace and we really have to treat this game as if it were a final. There’s still a long way to go, it’s a long league season, so we have to keep calm, take things game by game and keep going.